Once you have created your farm business, move into the Plan screen. Open a current year plan i.e. a draft or the working plan. 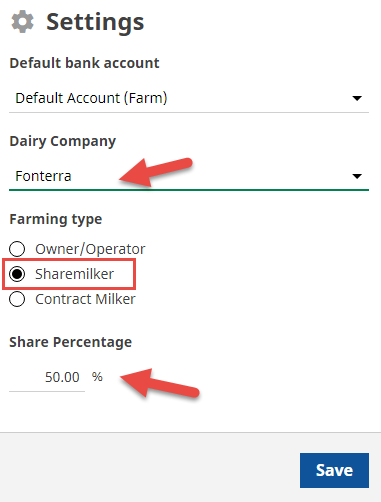 Select Dairy Forecaster from the menu at top of the screen. 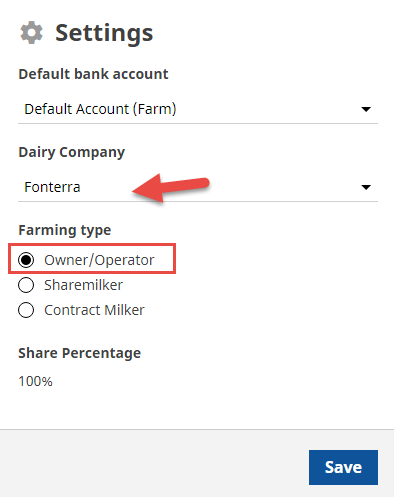 Select the Dairy company you supply from the drop-down list. Tick Owner/Operator from the Farming type list. Optional: if you track more than one bank account, set the default bank account for your milk income. 1. 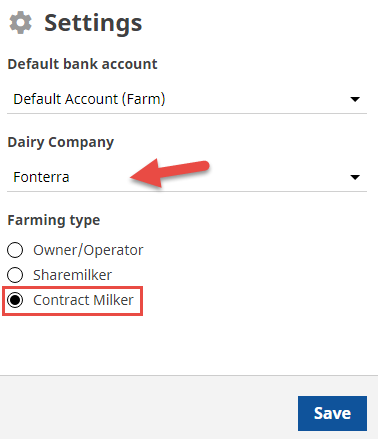 Select the Dairy company you supply from the drop-down list. 2. Tick Sharemilker from the Farming type list. 4. Enter the share percentage for your business. 2. Tick Contract Milker from the Farming type list.